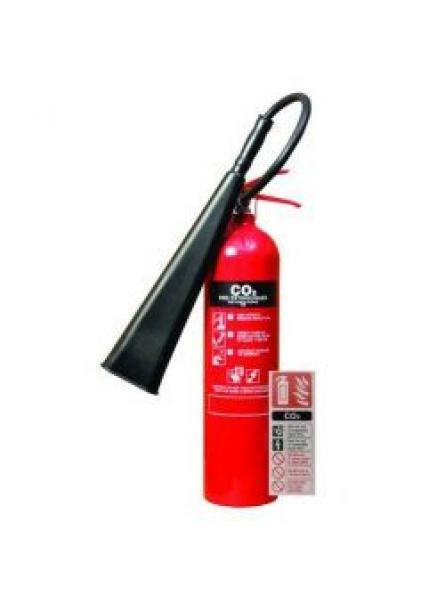 A Co2 Fire Extinguisher is most commonly used for Class B flammable liquid fires, including petrol, and fires involving sensitive electrical equipment – because Co2 Fire Extinguishers contain no water and leave no residue. 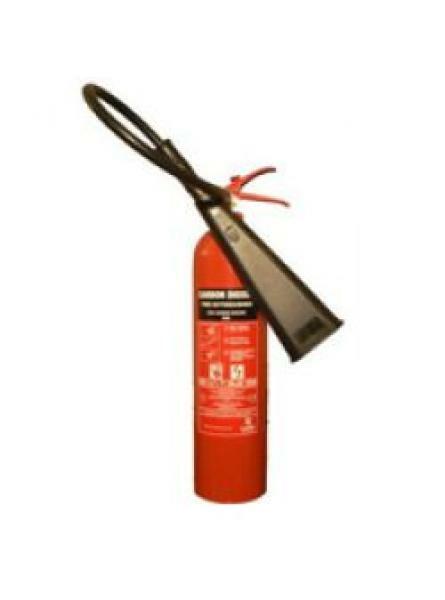 But remember – a Carbon Dioxide Fire Extinguisher shouldn’t be used on burning materials like wood, paper or cloth, which require powder extinguishers or a water extinguishers. 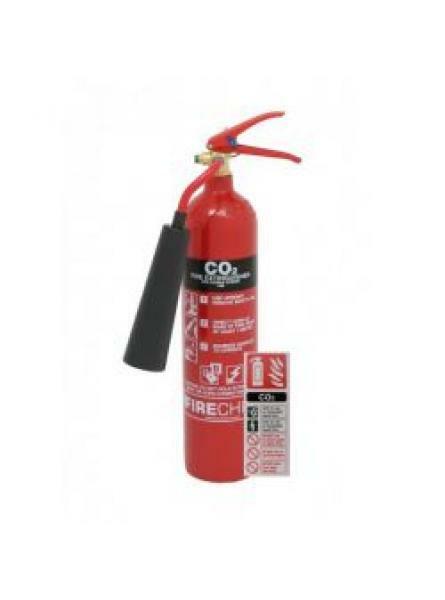 CO2 fire extinguishers discharge gas under pressure replacing the air with Carbon Dioxide which does not support combustion. 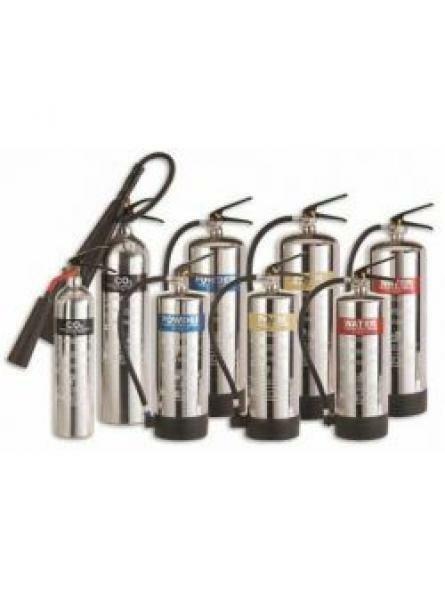 CO2 fire extinguishers are colour coded with a black label. CO2 does not work by cooling the fire and is not suitable for controlling Class A fires involving combustible solids like paper, cloth and wood. Carbon Dioxide is a gas and can asphyxiate. Care should be taken when using particularly in enclosed spaces where there is a danger that the CO2 may be inhaled. For electrical fires or where electricity is present turn off the power supply if safe to do so. Our CO2 extinguishers are fitted with a double skin insulated horn to prevent cold burns if handled making them easier and safer to use. If your CO2 extinguisher does not include this feature do not hold the horn when discharging as it becomes extremely cold during use. Direct the horn at the core of the fire and discharge working outward as the fire is extinguished. FREE WHITE RIGID ID SIGN WITH THIS FIRE EXTINGUISHER. 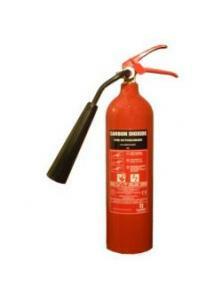 (Worth £2.50 ex VAT)This 2kg Co2 Fire Ext..
FREE WHITE RIGID ID SIGN WITH THIS FIRE EXTINGUISHER. 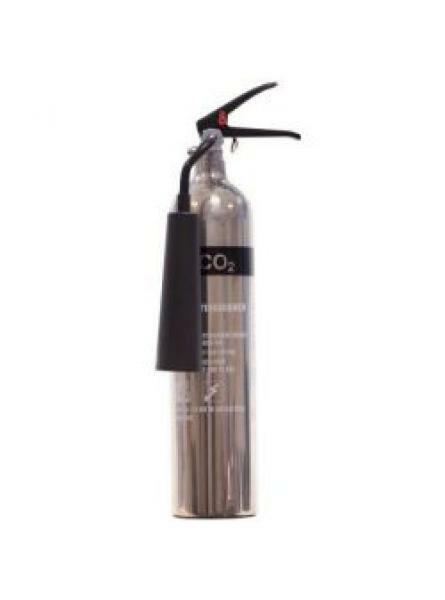 (Worth £2.50 ex VAT)This large capacity 5..
A popular size CO2 fire extinguisher is suitable for the following applications: offices, constructi..
Polished Aluminium 2kg Co2 Fire Extinguisher with a high fire rating for use on Class B and electric..
A high capacity CO2 fire extinguisher for use on a wide range of applications includi..
A stylish alternative for architecturally sensitive environments and design-led interiors, clean roo..